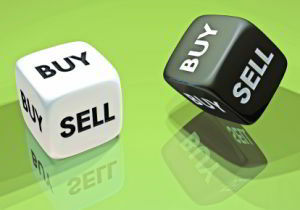 In article, I will help show you that buying and selling stocks is as easy as buying and selling an item from Amazon. If you substitute #3 to “Pick a Merchandise”, then buying a stock is as easy as buying an item from Amazon. Think about it – first you have to register for an account; then insert your bank account (or credit card) information; then you search for products and add them to your cart; then click Buy. #3 above is the part where you’re searching on amazon for: a good price; a product that will provide you value. This part is a bit easier than selling an item on Amazon.com, because our financial markets have what is called “liquidity”. Liquidity simply means that there is a lot of money out there wanting to buy your stocks. Sometimes, there is low liquidity for a specific unknown stock, and this causes the stock price to fall. This is similar to people not wanting to buy your product on Amazon; and you deciding to lower the price in order to attract buyers. *In the example steps above, I’m assumed you’re happy with selling the stock at the current market price.